If you follow my blog, you might know that every Monday we have a Monday Bloom linkup where I post my outfits and you share your beautiful looks. For the last past days I wasn’t feeling well and thought that posting pictures with puffy eyes and red nose is not a great idea. But I love seeing your looks and to keep our linkup going I’m posting a little roundup of my favorite summer looks. 2. Include a link to DC in Style somewhere in your post. 3 Meet amazing people and have fun!!! 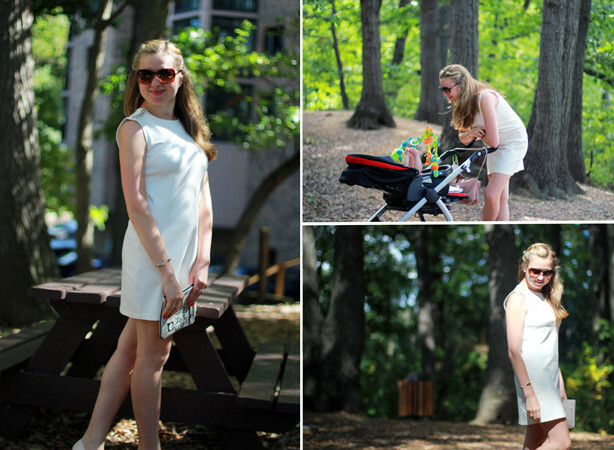 This entry was posted in style and tagged link up, summer looks on July 21, 2014 by Elena Fay. I hope you get to feeling better! Being sick is no fun, especially in the summer! Thank you for hosting the link up Elena. Hope you will feel better!!! So sweet of you! Thank you dear Janise! Aww poor mamma. Hope you feel better soon. It is even harder for us mammas to be sick because we have our little ones to think of and take care of. You are looking beautiful in each outfit though. <3 Ada. Thanks a lot for this link up! Have a nice week! That orange dress…you look amazing! Awesome summer styles Elena….get well soon dear!!! I hope you’re feeling better! Love the first dress with the great flower print! Feel better and take care of yourself. Your summer looks have been great, especially the first one! I love that bold 60s inspired dress. Beautiful! I hope you feel better soon, Elena! You certainly look beautiful in all of your Summer looks, but my favorite is the black and white polka-dot outfit. i hope you get some rest & feel better soon. All such gorgeous summer looks! So pretty & feminine. LOVE. so many beautiful summer outfits! Love that blue and orange dress. Hope you feel better soon!